To start, I was not paid by ARB, or anyone else, to post this. As of a couple weeks ago, the Vanagon now has an ARB awning mounted to the side, along with some new racking up top. Here in the Portland area it seems that every other car has one of these mounted to its roof, and I really wasn’t sure if it was all that useful or just simply an easy bolt on thing that made your rig look like you might do some cool stuff outdoors. 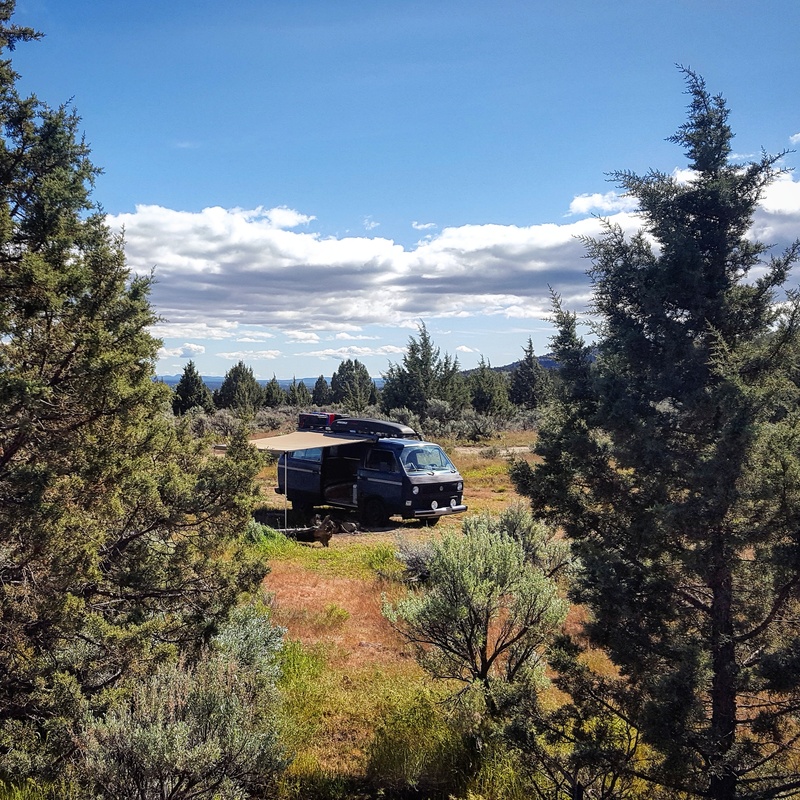 While I cannot speak to the majority of these folks, I can say this – as a full-time vandweller, the addition of the awning is like adding an addition on to your home – one that doubles your square footage. Sure, it’s drafty, but it is shade on a sunny day and a dry place to hang out on a rainy one. While I can’t exactly deploy it every day here in the city, on my most recent trip to Montana, and then to Bend, I used it multiple times and rejoiced in the new found space in which I could sprawl out. With the sliding door now open, I was no longer stuck feeling entombed in the low roofed tin top. There are numerous companies out there that are making these awnings, but my only experience is with that of the ARB, and I have to say I am pretty impressed. The material of the awning feels durable and looks to be rip stop. The unit sets up super fast and easy with two people, and fairly quick when by yourself – after you watch the video on how to do so. That was all. Just wanted to give a quick shout out to the newest addition to the van and how much I have enjoyed it already. See you out there!